Reverend John Strickland, born in College Park, GA, attended seminary at Unity School of Christianity, Unity Village, MO. While there, he worked for the Association of Unity Churches, as the International Y o u t h of Unity and Young Adults o f Unity coordinator. John graduated a n d was ordained a Unity Minister, i n 1976, at the age of 23...one of the youngest in Unity history. Rev. John served as vice president of Unity World Headquarters and as Director of Silent Unity, Unity’s worldwide p r a y e r ministry. He has served as Chair of the Board of the Association of Unity Churches, and, in 1999, was appointed Unity's delegate to the Parliament of the World's Religions, in Cape Town, South Africa. In 2001, Rev. John returned to the city and church of his childhood, as Senior Minister of Atlanta Unity, where he serves today. In 2003, John received the Light of God Expressing award, the highest honor within Unity. In 2004, he was honored to serve as one of Unity's delegates to the Parliament of the World's Religions, in Barcelona, Spain. He graduated from The Diversity Leadership Academy of Atlanta, in 2004. 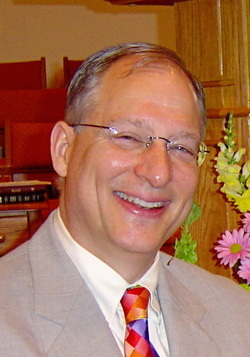 Presently, John serves as Chair of GANT (Georgia Association for New Thought).